Welcome to Dongguan Hengjin Printing Machinery. BEST REGARDS TO YOUR AND YOUR FAMILYLexus International (Hong Kong) Co., Ltd.Dongguan Hengjin Printing Machinery Co., Ltd.Business Miss Han 18922925913 QQ: 718391398Tel: 0769-85091448Fax: 0769-82799433Http://www.hj7689.comHttp://www.hengjin.net.cn Http://andersonearthworks.comE-mail: hj7689@163.comNo. 12, Lane 7, Minchang Road, Nanzha District, Humen Town, Dongguan CityBusiness scope: pad printing machine (1-8 color, oil slick oil pan turntable shuttle manual oil pan oil shovel pad printing machine)Sc. 6080 running desktop screen printing. 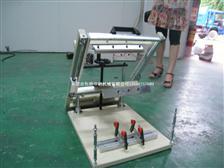 Two-color rotary pad printing machin. 900*1200 running screen screen print. Pneumatic curved screen printing mac. Six-color servo shuttle printing mac. Monochrome oil pad printing machine Dong. Printing Technology - Development and New Changes of Printing Technology in the New Situation As a founding coun. Robot automatic loading and unloading pa.
Automatic pad printing machine m.
Automatic round screen printing . Printing candle pad printing ope. HS-260R-12 Hengjin precisesingle color 12 stations curve screen printing machineMax frame size : 400*350mmMax printing d.
Four-color shuttle overprinting machine . precision 4 color shuttle pad pr. With the program, I do not knowWhich brand is good，How to choose it? Dongguan Hengjin Printing Machinery Co., Ltd. specializes in the development, production and sales of screen printing machines, pad printing machines and inks to ensure that every detail is perfect. We serve a large number of large and medium-sized enterprises, know the characteristics of various products, and choose the best and best for your products. Hengjin produces and sells itself, eliminating the need for intermediate links, maximizing profits to customers, and really saving you. According to the needs of customers, we carry out professional design and keep pace with the times. We pay close attention to the development of the most advanced technologies in the domestic and international industries, and introduce them to meet the production of different industries in various situations. With firm belief and unremitting efforts and Hengjin's nearly ten years of machine manufacturing experience, Hengjin Printing Machinery Co., Ltd. has continued to grow, with Dongguan as the main sales window, and has set up distribution points in Yiwu and Shenzhen. 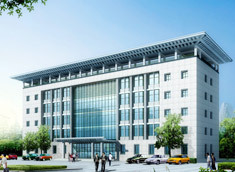 Lingzhi International (Hong Kong) Co., Ltd. was established in Hong Kong to facilitate the purchase of foreign customers. 2012 China heat pump industry alliance, the ten leading brands"
Patent certificate - desktop p.
Double station rotary machine . 1. The unique frequency conversion speed control device of screen printing machi. The transmission mechanism transmits power to cause the squeegee to squeeze the . Screen printing machine main classificat. 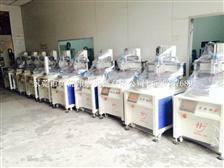 The screen printing machine is divided into vertical screen printing machine, ob. What is a screen printing machine? The screen printer is called the "Screen Printer Machine", which is a . Copyright © 2014 andersonearthworks.com All Rights Reserved. 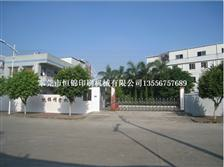 Dongguan Hengjin Printing Machinery Co., Ltd.